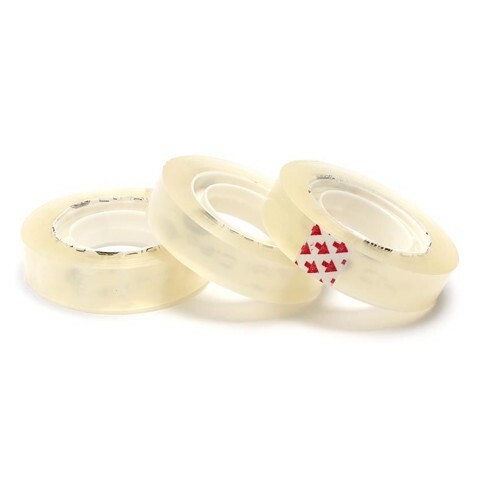 Sticky Tape Clear 33M Roll 3Pk. 3.5cm Plastic Core l 33m Roll x 12mm Wide. Crystal Clear. OPP 40 Micron | Water Acrylic Adhesive. 55G Packaging: Polybag with Header Card.